At Doyle & Ogden we are blessed to have generous leaders and team members who give of their time and monies to support our community. If you are interested in helping us support one of these worthy causes please contact us. 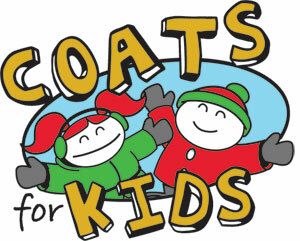 Coats for Kids started back in 2009 when several of our staff members heard how local elementary children did not have winter coats. 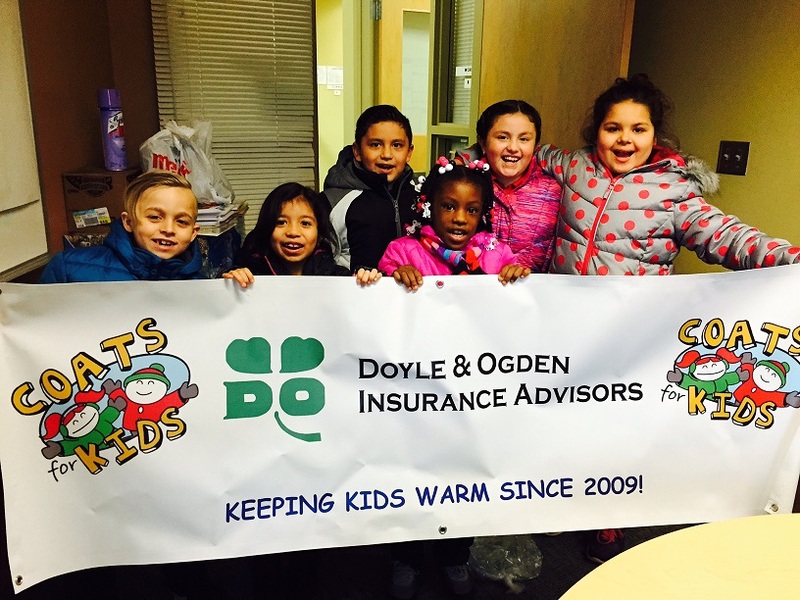 We started by fundraising solely from the staff at Doyle & Ogden and were able to provide over 50 coats the first year. Then we solicited the generous companies we partner with in 2013 and raised enough to provide over 300 Coats for Kids right here in Grand Rapids. In the fall of 2017 we donated over 450 coats and this year the donations we have received will allow us to donate even more and sustain our partnerships with local Grand Rapids Public Schools and their students. To learn more about our program or how you can help please contact Tina Leazier at 616-773-6524. 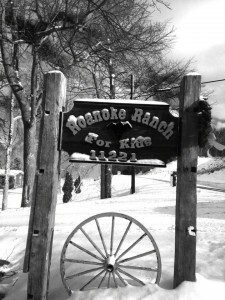 Roanoke Ranch – Doyle & Ogden Insurance has been associated with the Roanoke Ranch for Kids since its inception. The work that Aaron and his helpers have done with at-risk kids is something that we feel is one of great importance and the results have been astounding. We highly recommend that anyone interested look into their work and get involved if they can. 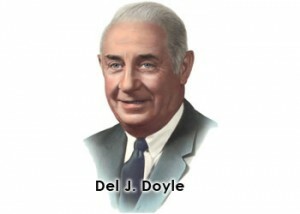 Del J & Jean B. Doyle Family Foundation – Established in 2005 as a tribute to the founder of Doyle & Ogden, Del J. Doyle and his wife Jean, to continue their legacy of philanthropy & voluntarism . 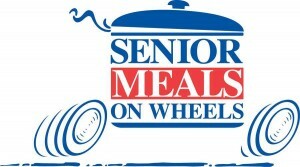 Senior Meals on Wheels – Operates with the mission that all seniors deserve access to healthy, nutritious food. Apart from specific programs, Senior Meals Program also works to keep seniors around Kent County connected to a massive network of support. Doyle & Ogden has been a supporter of this wonderful program for many years. D.A. 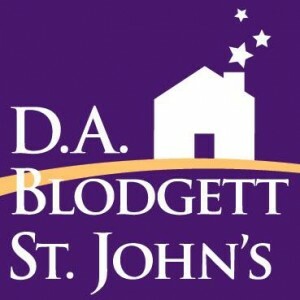 Blodgett – St. John’s Home – Every year Doyle & Ogden provides Whitecaps tickets to this organization so that Big Brothers can treat the kids to games throughout the season. Our employees also donate back to school supplies and we are part of their holiday giving program each year. 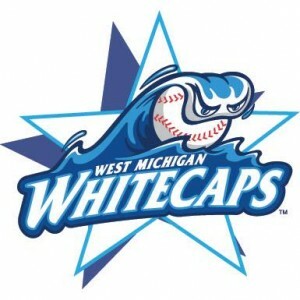 Whitecaps – Doyle & Ogden was one of the first in West Michigan to purchase season tickets from the Whitecaps and in 2018 celebrated 25 years of being season ticket holders and supporting this amazing organization. 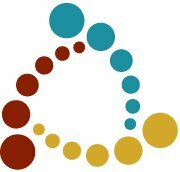 Grand Rapids Chamber of Commerce member for over 25 years. This organization is vital to our relationship with the community and continues to provide opportunities for business leaders. Local First member since 2012. We believe in buying local! If you would like more of your hard earned dollars to stay in the local community check out the directory of businesses you can patronize. 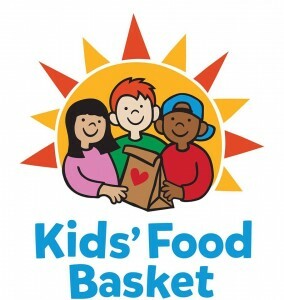 Kids Food Basket Are you familiar with this wonderful and much needed organization? If you aren’t please click on the link and find out how an hour of your time or a donation as little as $5 a week can make such an impact on children right here in West Michigan. Our team members volunteer once a month and our leaders give annually to this organization. Find out how you can help.